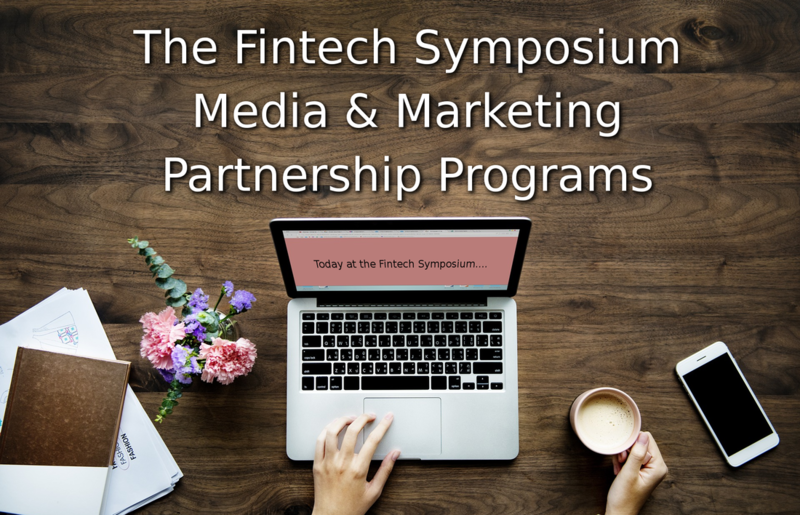 The U.S. Fintech Symposium's Partnership programs goals are to create PR and advertising "Buzz" for the event while enabling our partners to develops unique content and/or market their brands to finance, banking and fintech executives. The U.S. Fintech Symposium is interested in collaborating with qualified media outlets and/or professional associations. All partnerships will be developed as a matching value, non-cash related partnership. Listed below are two partnership opportunities: The Media Partnership is geared toward publications and large associations. The Marketing Partnership is geared towards all other types of organizations. Provide media partner with one (1) Press Pass for the Fintech Symposium. Provide media partner with access to the Staff / Media room during the Fintech Symposium. Coordinate potential interviews with Fintech Symposium speakers for content creation. Advertise media partner's Name and Logo on FintechSymposium.com, social media & event signage. Distribute media partner's publication and/or 1-Page advertisement at the Fintech Symposium. Provide media partner's readers / members a unique promo code for the Fintech Symposium registration. Verbally "Thank" media partners during the Fintech Symposium. Commit to creating content about the Fintech Symposium (i.e. the event, speakers, topics, sponsors, etc) before, during and after the event. Consistently promote the Fintech Symposium by communicating with readers / members via email, text, social media, etc. Advertise the Fintech Symposium by placing Fintech Symposium ads within their publication, website and other digital properties.